As the release of Circlesquare's Songs About Dancing and Drugs rapidly approaches, Jeremy Shaw appears to be taking his new album's title very much to heart. 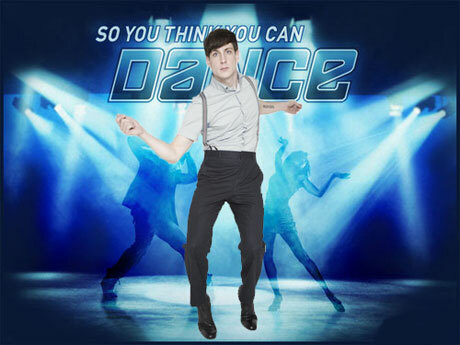 This Saturday (January 17), the pop noir maestro is shooting a music vid for the upcoming album in his hometown of Vancouver, and to help out, he's enlisted a pair of contestants from So You Think You Can Dance Canada to shake it, move it and do whatever else dancers do. But while Shaw now clearly has the dance part of his album covered, we're not sure what's going on with the drug thing, though press releases don't usually dish on plans involving such incriminating activities as indulging in illegal substances. We also know that the Circlesquare video is being directed by Vancouver's Bienvenido Cruz, who previously did Shaw's vids for "Fight Sounds Part 1" and "Non-Revival Alarm," and is inspired by the sparse, spastic 1953 Robert Longo work Men in the Cities, which, as David Byrne points out, looks suspiciously similar to recent iPod ads. As previously reported, Songs About Dancing and Drugs drops January 27 in Canada courtesy of Boompa/!K7 and can be previewed right now over here. Circlesquare "Fight Sounds Part 1"